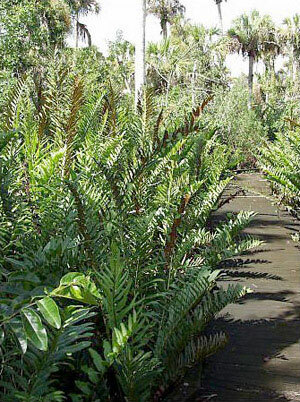 General Landscape Uses: A large specimen or accent fern useful in wet areas nearly throughout South Florida. 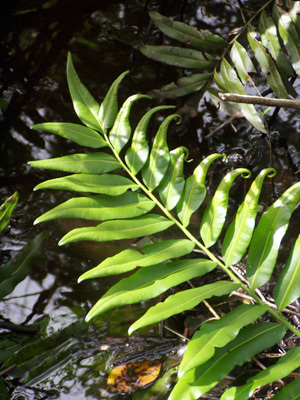 It is especiall useful along the edges of freshwater or brackish ponds and marshes. 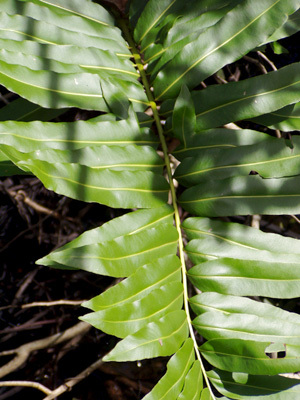 Ecological Restoration Notes: Nearly ubiquitous in wetlands throughout South Florida and can become dominant in certain situations. 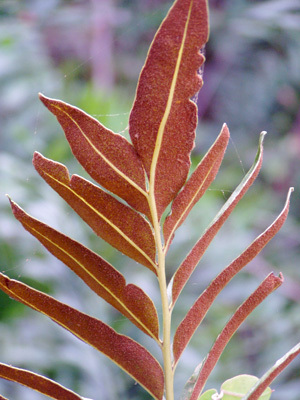 Description: Large shrub-like herbaceous fern with ascending or arching fronds. Fronds to about 10 feet long or more. Dimensions: Typically 6-12 feet in height. As broad or broader than tall. Range: Monroe County Keys north to St. Johns and Dixie counties; West Indies, Mexico, Central America and South America. Habitats: A wide variety of freshwater or brackish wetlands from marshes to swamps. Soils: Wet to moist, poorly-drained to inundated organic freshwater or brackish soils. 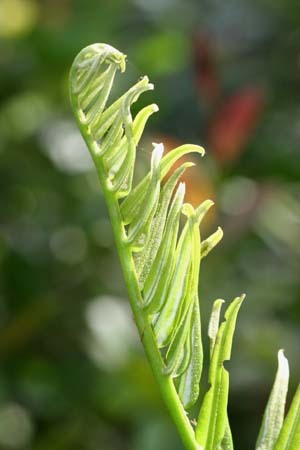 Flower Characteristics: There are no flowers; the plants reproduce by spores. Horticultural Notes: Can be grown from spores. Small plants can be transplanted. 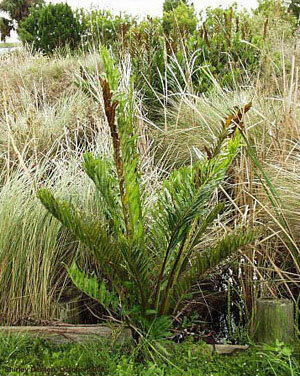 Comments: This is the more common of our two native species of Acrostichum. 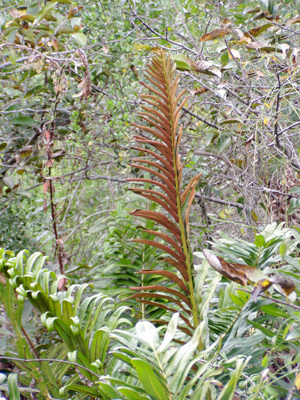 It can be distinguished from A. aurem by its longer fronds and more crowded pinnae (leaflets).